Establishing Custom Camper Solutions in 2012 has meant me realising a 20 year dream. Spending my 20’s and 30’s attending “Run to the sun” “BugJam” and various other shows cemented my love for VW’s and I was smitten by the vibe that surrounds these vehicles and the people. 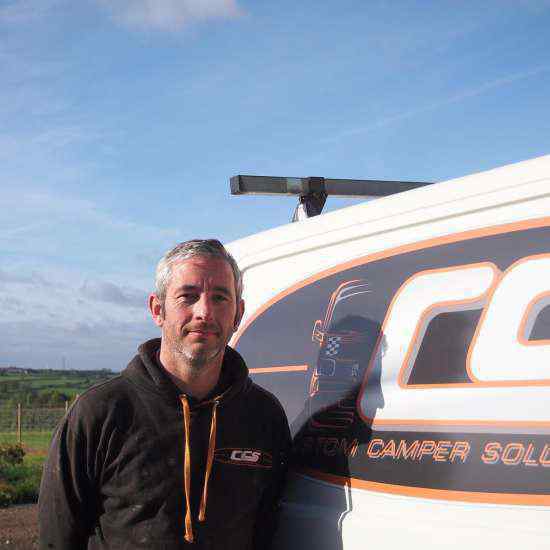 Custom Camper Solutions started life as a part time mobile window fitting business travelling to literally all corners of the UK, After getting asked if I could do various other jobs to peoples vans, it quickly became clear I needed to make the biggest decision of my life. Leave my full time job as a senior car bodyshop technician or give up the part time one as there was not enough hours in the day. Custom Camper Solutions was born and I have never looked back. 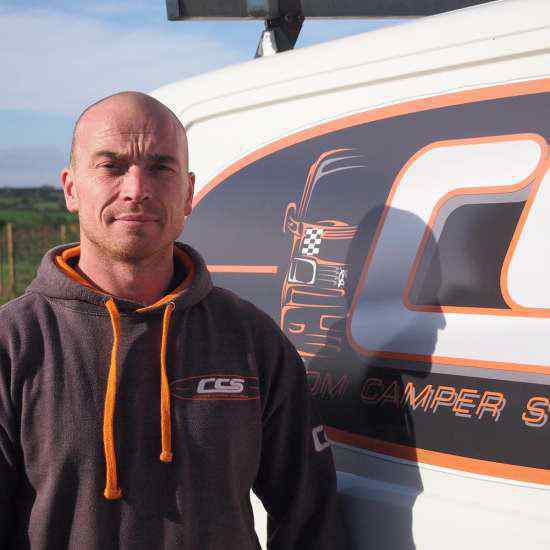 Now Custom Camper Solutions has an experienced and qualified team of camper van builders offering all sorts of services with a great reputation for quality workmanship, great unique ideas and trusted advice, all at competitive prices. With fully qualified staff in Gas and Electrical fitting along with auto electrician and mechanics you can be sure your beloved camper is in safe hands. We get real job satisfaction from seeing customers reactions to our work and it’s even better when we bump into them at shows offering us a beer and a burger! 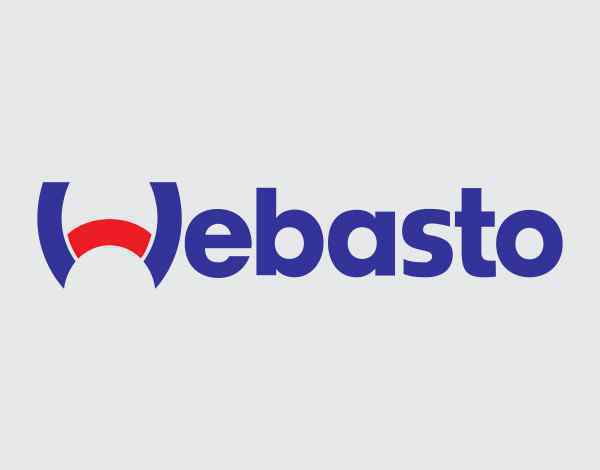 All the products we use are either status tested, M1 tested, TUV approved, BS or BSEU approved. BS, BSEU or Custom Camper Solutions tried and tested with a big thumbs up! 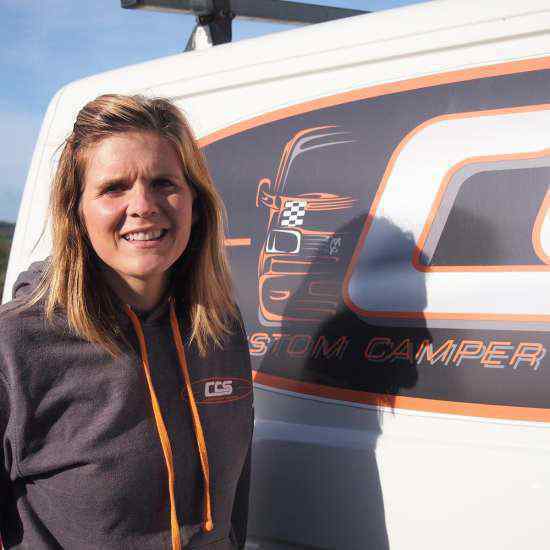 Custom Camper Solutions are passionate about campervans – we all have them and love them so put that passion and love into yours! We want you to see and love the lifestyle they can give you. 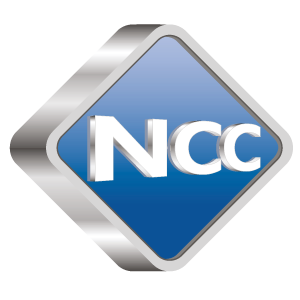 With over 40 motor trade qualifications between the Custom Camper Solutions team, we are fully qualified to work on your campervan. We are a friendly, laid-back bunch. Always happy to chat and help people achieve their dream van. We are not the cheapest or the most expensive, but what we do offer is quality products and quality workmanship designed to last. Our experienced team have all owned vans and have been part of the camper scene since the early 90's. We can safely say we know a bit about campers.